Home / Review / Comparison: SATA 3 SSD vs PCI-Express (PCIe) SSD, is it worth the investment? 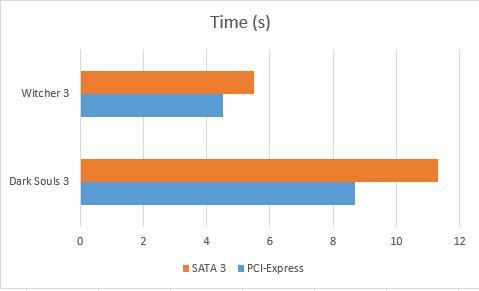 Comparison: SATA 3 SSD vs PCI-Express (PCIe) SSD, is it worth the investment? As you know, for some time now the performance of SATA3 SSDs reached its peak due to interface limitation, and for that reason nowadays the SSDs with PCI-Express interface –whichever format they may be- and especially those with NVMe, for their high performance, are booming. Today we want to show you a performance comparison, but not in our usual analysis level, but a closer inspection, using real life tests and daily use of the computer, to see if it’s worth or not to update our SATA3 SSD to a PCI-Express. First and foremost, as always we have to list the hardware used in this comparison, which are our usual from the test bench. Intel Core i5-6600K @ 4,2 Ghz. 2×8 GB Corsair Vengeance LED DDR4-3200 Mhz. Logically, we connected the SSD of the Corsair to the SATA 3 port, while the OCZ one was connected to a PCI-Express 3.0 4x socket, making sure it won’t suffer from Thermal Throttling. The Operative System used was as always Windows 10. Having seen the hardware, it’s time to pass to the performance tests as promised. What’s the first thing we do to check if our computer is going fast or slow? Well yes, turning it on. 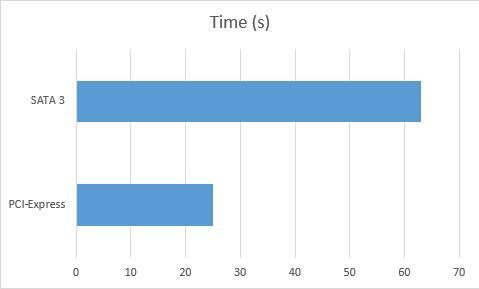 The following chart shows the time difference between both SSDs from the moment we press the power button until the Windows desktop appears and we can start using the computer, which includes the POST time of the motherboard. Although in the chart the difference may seem wide in reality it’s just two and a half second, which it’s too small to make a difference. In this case the difference is really obvious, and is that in technical terms the RD400s writing speed is three times faster than the XTi’s, and it really shows. Of course we won’t be copying 30GB files every day. In this case we installed Dark Souls 3, a game that usually takes a lot of loading time, both SSDs in its steam version. The time has been measured from the time we hit continue until the character appears and we can start moving. 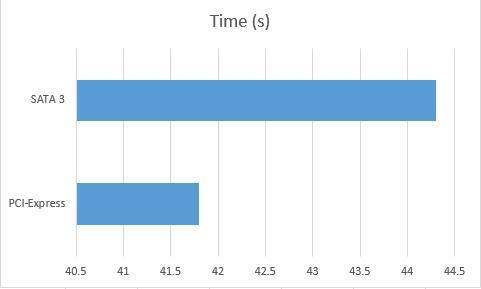 We did this same test with Witcher 3: Blood and Wine game, although in this case loading times are are much more less. In conclusion, in a personal level, if you already have a SATA 3 SSD it’s not really worth it to update to the SSD PCI-Express NVMe unless you have a big budget or you want to have the latest in devices, now more so that SATA 3 SSD have pretty reasonable prices. If you are building a computer it’s a whole different story, or if you are updating a platform or if you are changing from a mechanical hard drive, well then, provide that your budget allows it, it is worth to update to PCI-Express SSDs.